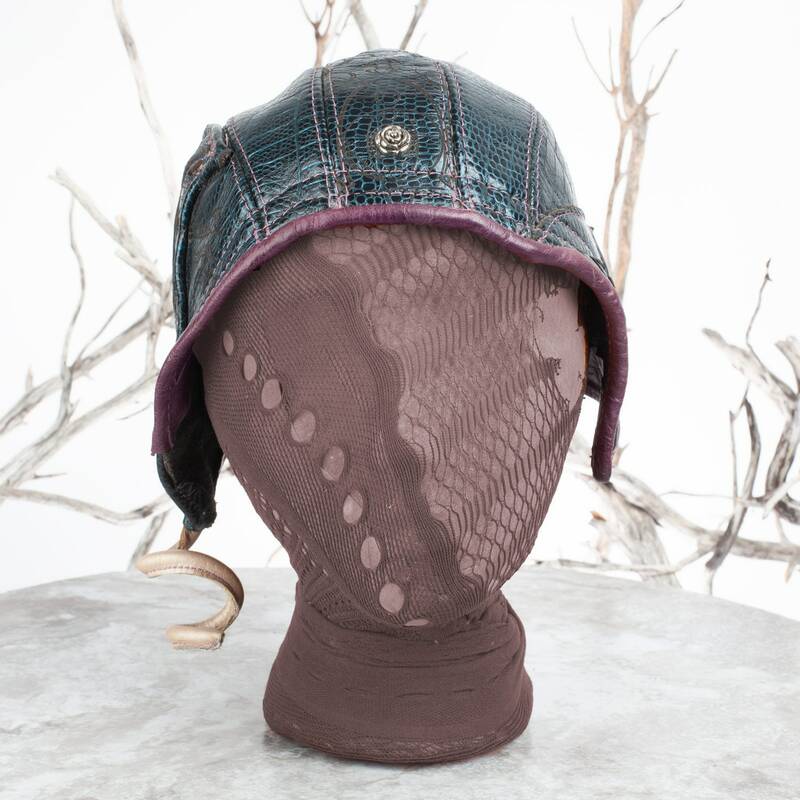 IN STOCK | READY TO SHIP | A ONE OF A KIND HAT!! 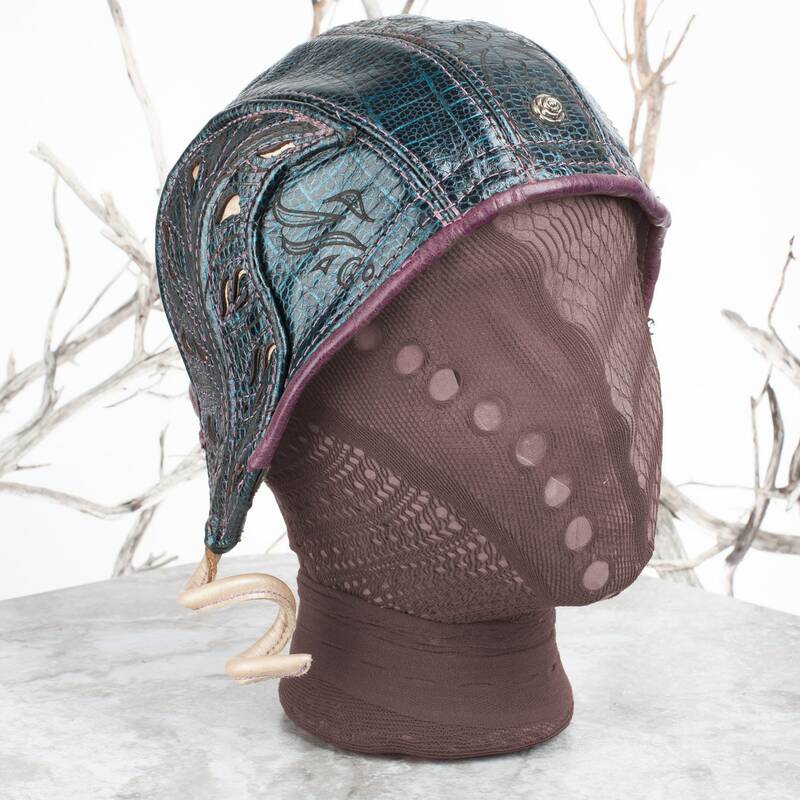 The Ellowyn Cloche is a perfectly Whimsical Hat. 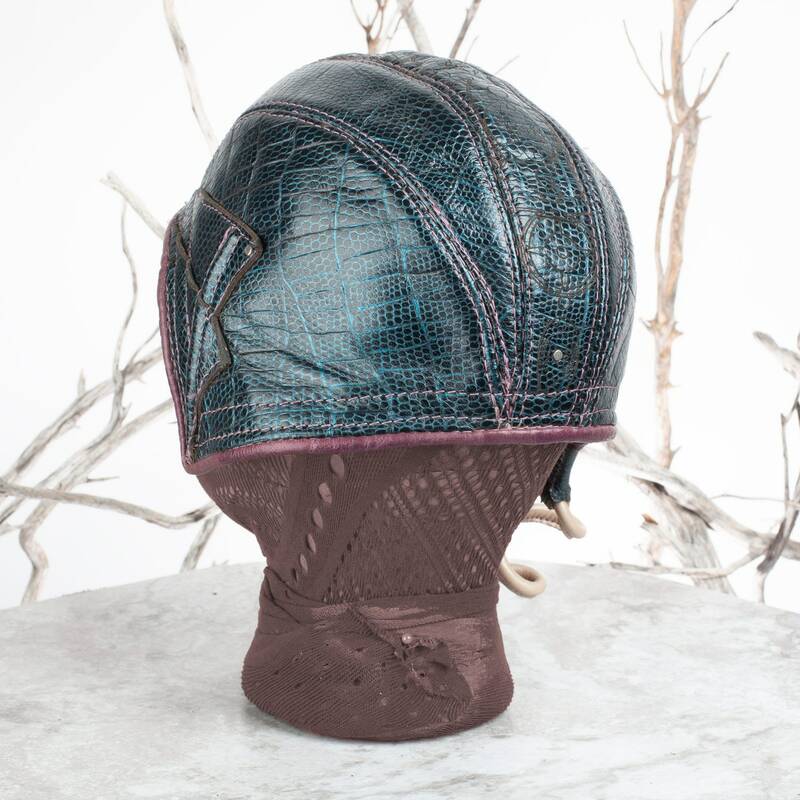 We are busy working to uniquely style everyone out in time for the 2020's! How did this design happen, we really couldn't tell you...magic we thinks. 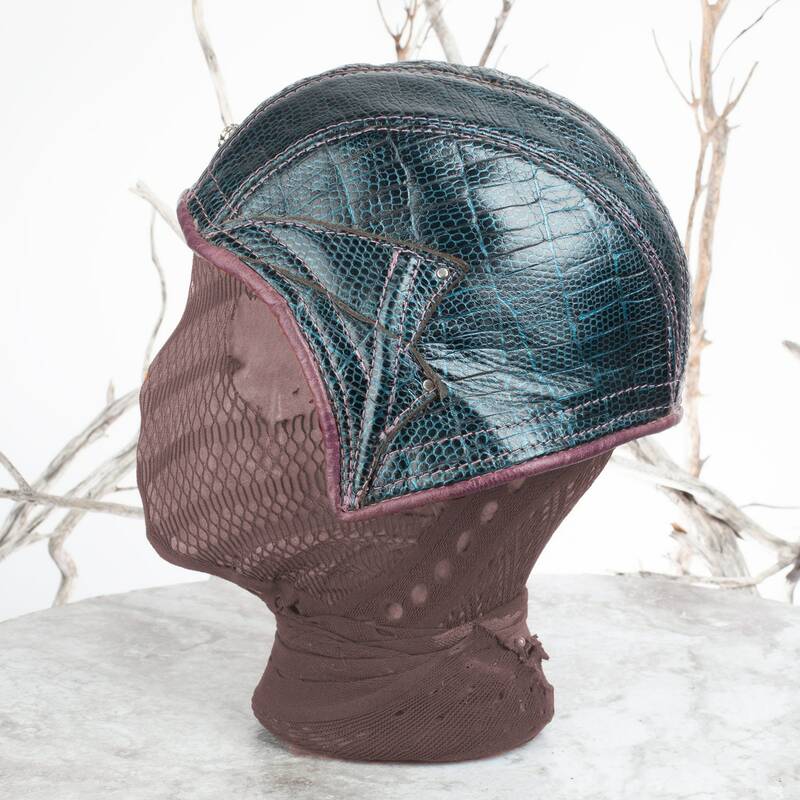 Sometimes more than one design decides to merge into a new design and that is how the Ellowyn came to exist. 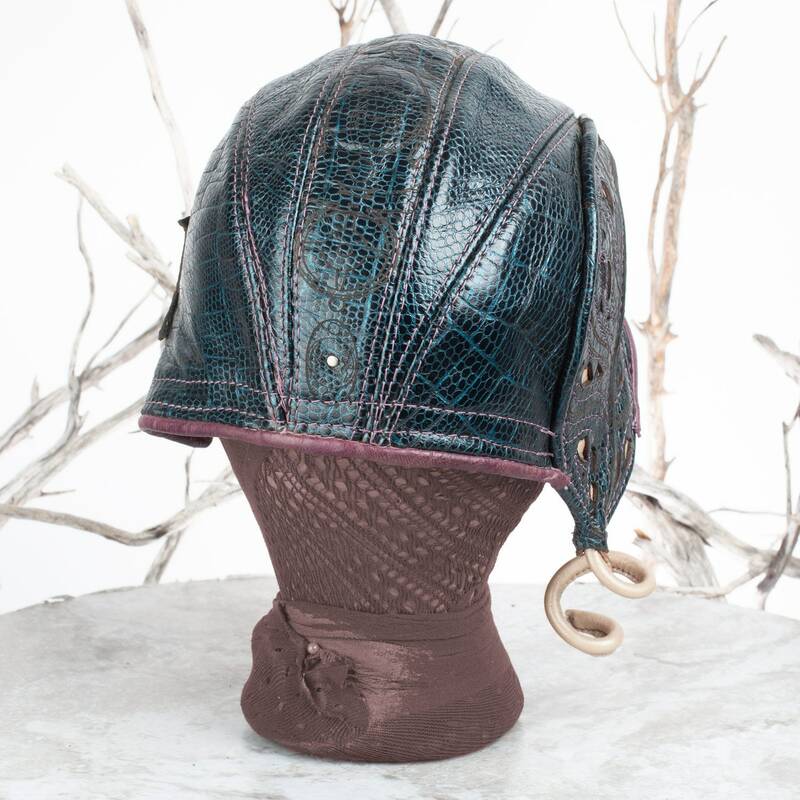 The Ellowyn is an Aviator/Bomber style hat, that has an asymmetrical leather leaf on one side. 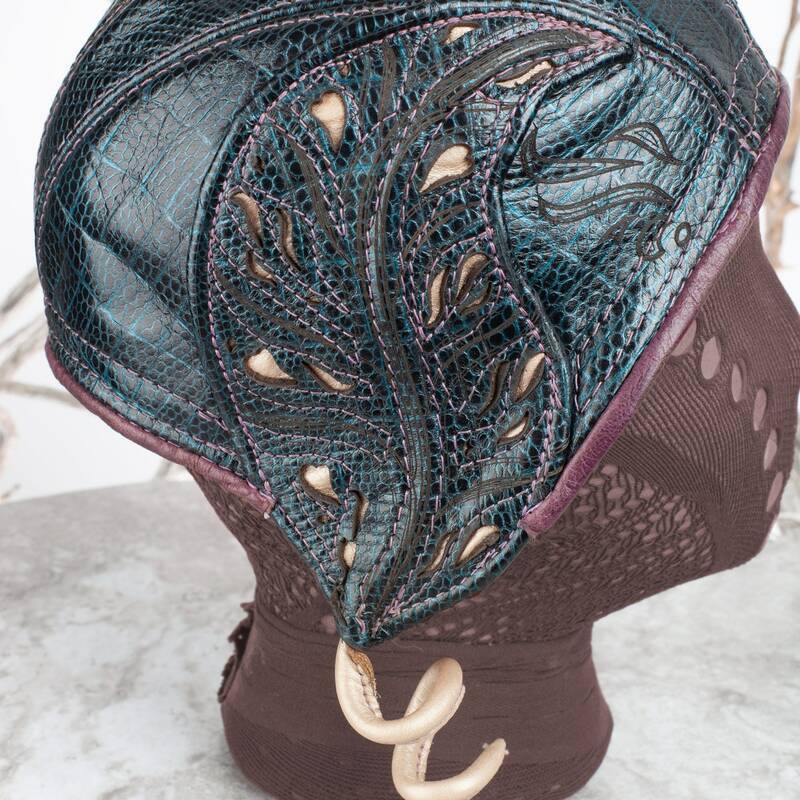 The leaf has filigree, art engraving and gorgeous stitch detail with a strong flexible copper wire that allows for the fanciful spiral. 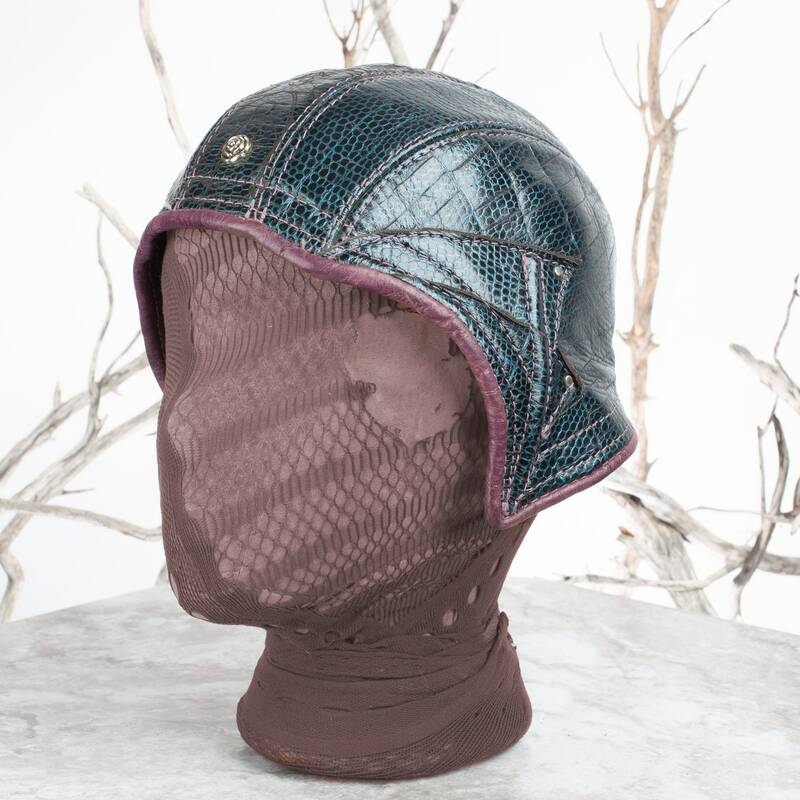 On the opposite side there is also a hidden wire allowing you to shape the ear cuff part of the hat to your face or to flare it out playfully. 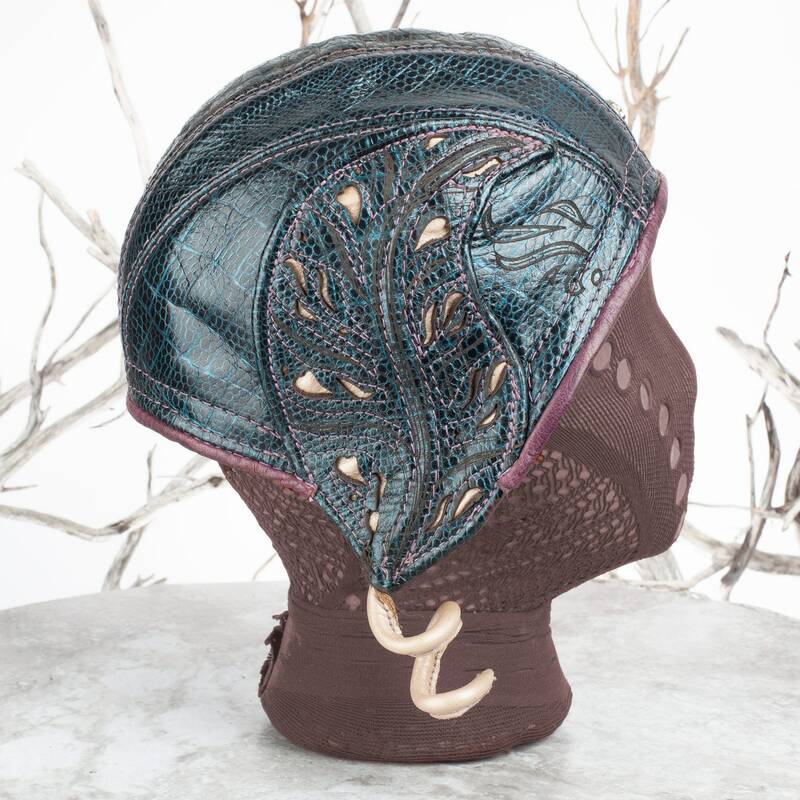 The center top piece of the hat has our Cosmic Compass Art engraving as an additional embellishment. 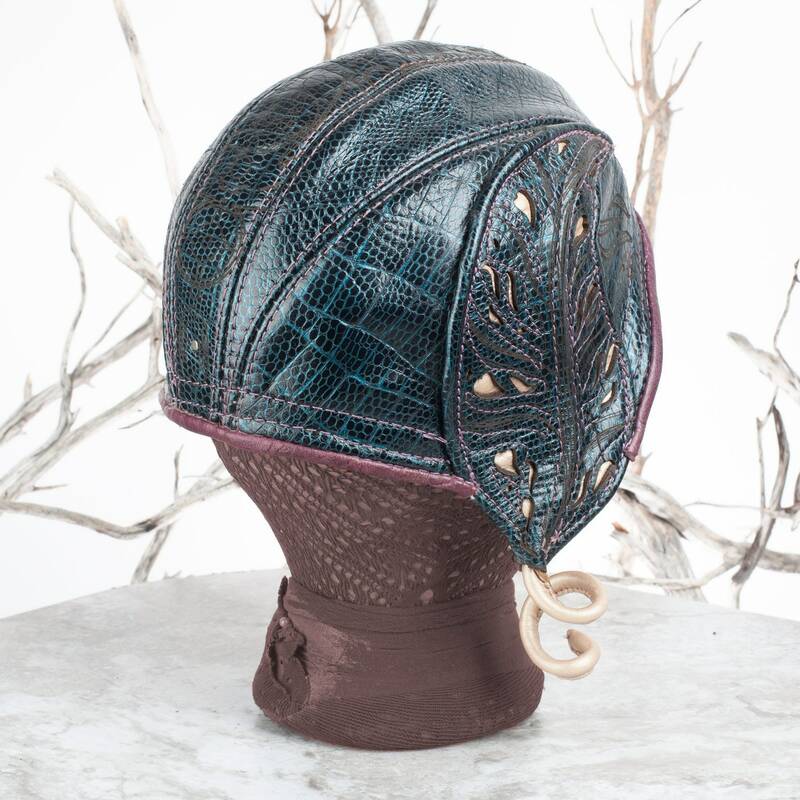 Embossed Dark Blue & Teal, Purple Leather lining and Pearl White inlay beneath filigree on the leaf and spiral curl. 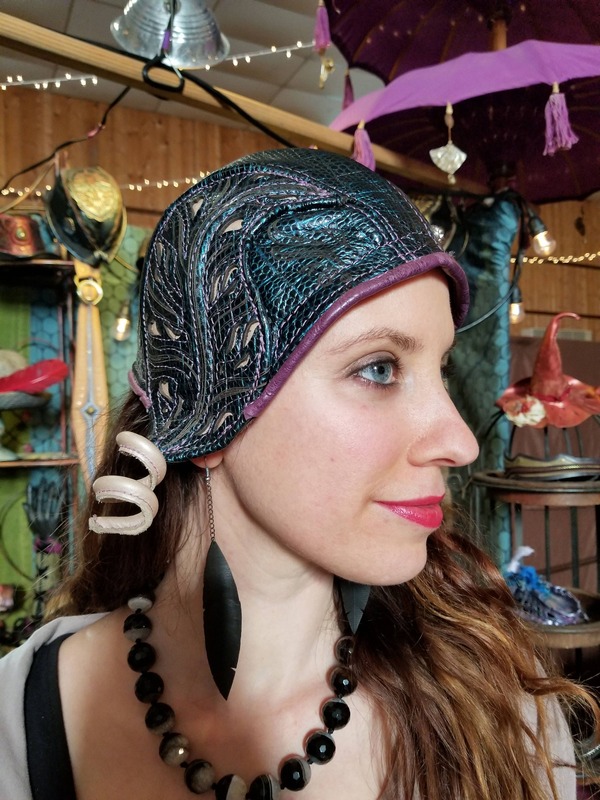 If you are interested in a Custom Made Ellowyn with colors of your choosing please message us, as we can make a hat to fit your head perfectly and exactly as you wish!